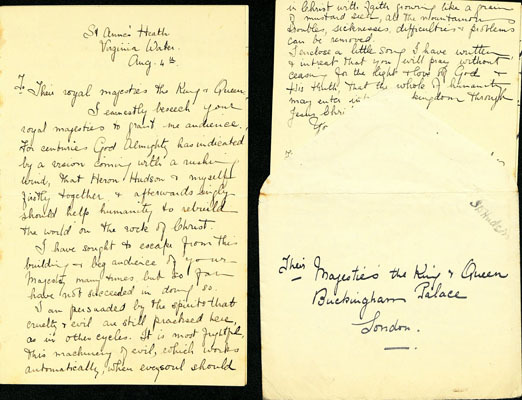 Letters written to the King and Queen by a Holloway Sanatorium patient suffering from religious delusions, retained in MS.5161 next to her record. 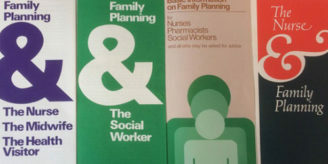 Several of the Wellcome Library items opened this January have particular relevance to family historians. The fullest information can be found in MS.5161, a casebook describing female patients admitted to the Holloway Sanatorium, Egham, in the early 1920s. As is usual with records of this type, there is a detailed description of the patient and her symptoms on admission and then a record of treatment in the hospital, sometimes over the course of many years. From Ticehurst House Hospital in Sussex, whose archive is unparalleled as a record of a private mental hospital from the late eighteenth century to the mid-twentieth, comes MS.6277, a medical journal spanning the years 1905-1910. Unlike the previous item, this does not hold detailed treatment records for individual patients, but gives a day by day log of those patients to whom special circumstances applied at a given time – who was ill, who was being kept apart from the other patients for whatever reason, and so on. Wellcome Foundation staff cards, covering the name Burrows. Silas Burroughs, sadly, is not included. 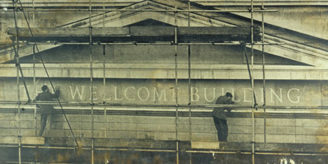 Finally, of course, the Wellcome Library holds extensive records of the Wellcome Foundation, the pharmaceuticals firm through which Henry Wellcome made the money that was to endow the Library and the rest of the Wellcome Trust. Newly available this year is WF/CA/07, a series of staff index cards spanning the years from c.1898 to c.1933. These cards – formerly the contents of six wooden filing drawers – are arranged alphabetically by surname, making it easy to locate given individuals, and record name, staff number, age and date of birth, start and leave date, reasons for leaving, department and wages. They record staff overseas as well as in the UK and include staff at the Wellcome research laboratories. 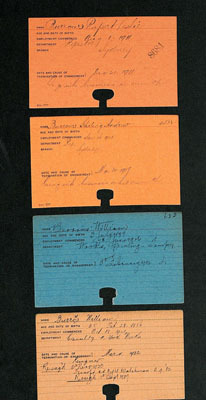 They are not, it appears, an absolutely complete record of all staff during those years – it seems that not all the index cards were retained – but they are an extensive and valuable resource for anyone whose family member(s) may have worked for Wellcome, whether at the London headquarters, the Beckenham research laboratories or as far afield as New South Wales.